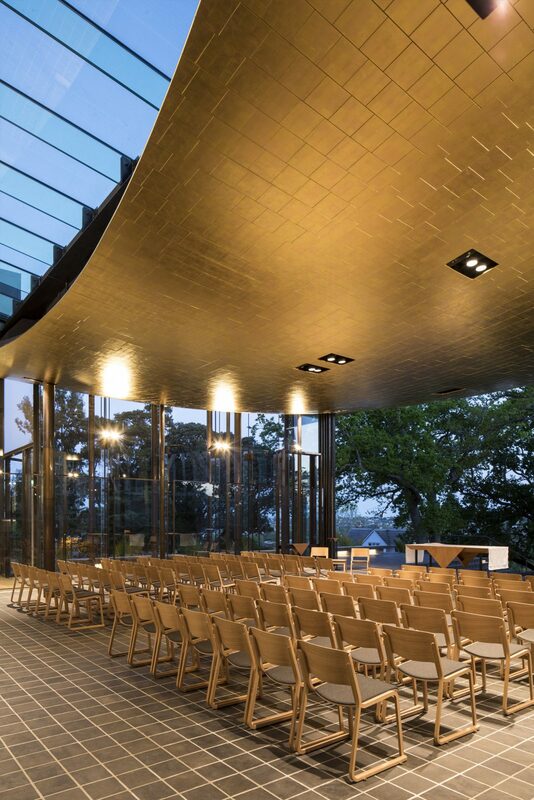 Bishop Selwyn Chapel in Auckland, New Zealand, features the Theo Chair designed by Simon Pengelly. 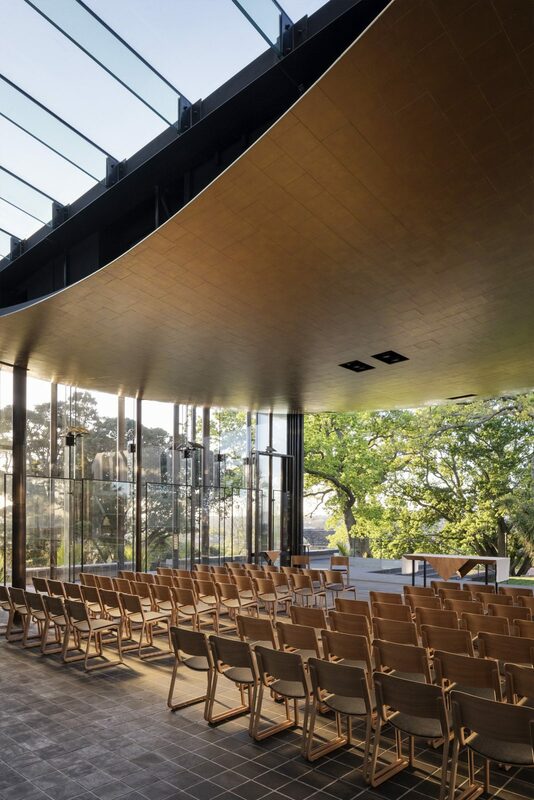 The chapel is an award winning design by Fearon Hay Architects. 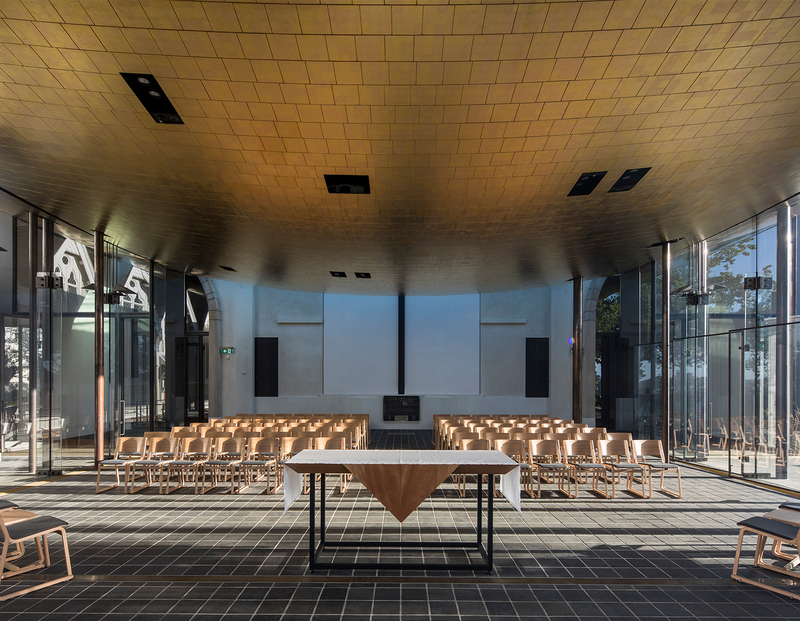 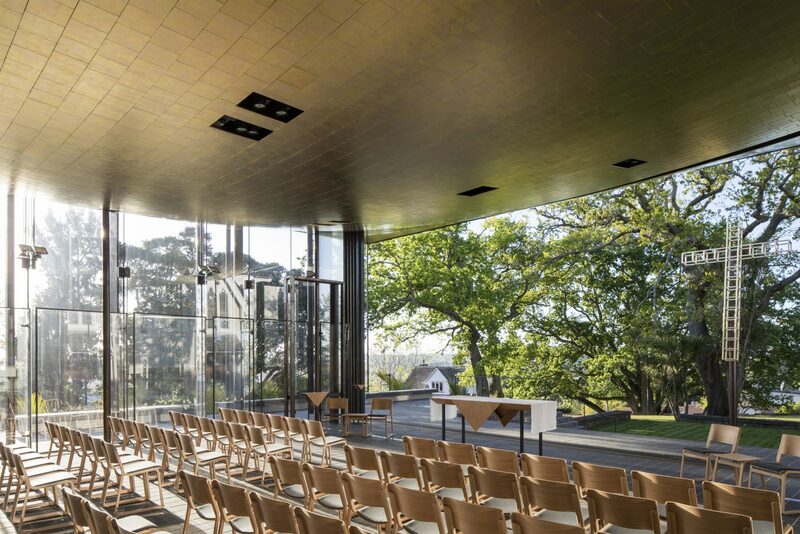 It features a curved Italian gold-leaf ceiling and glass doors to the front that fold away, connecting the space to the outside and a spectactular view of Maungakiekie (One Tree Hill) framed by century old oak trees and a contemporary cross, designed by New Zealand sculptor, Neil Dawson. 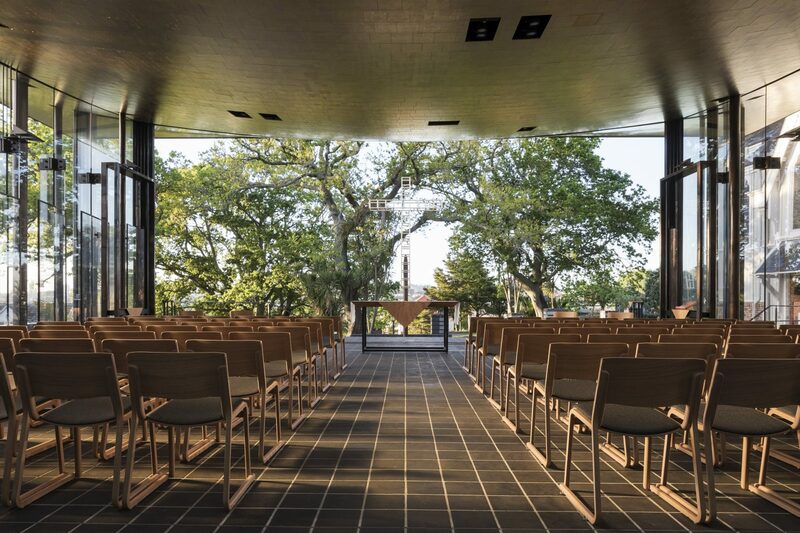 The Bishop Selwyn Chapel is a multi-purpose venue seating up to 120 people. 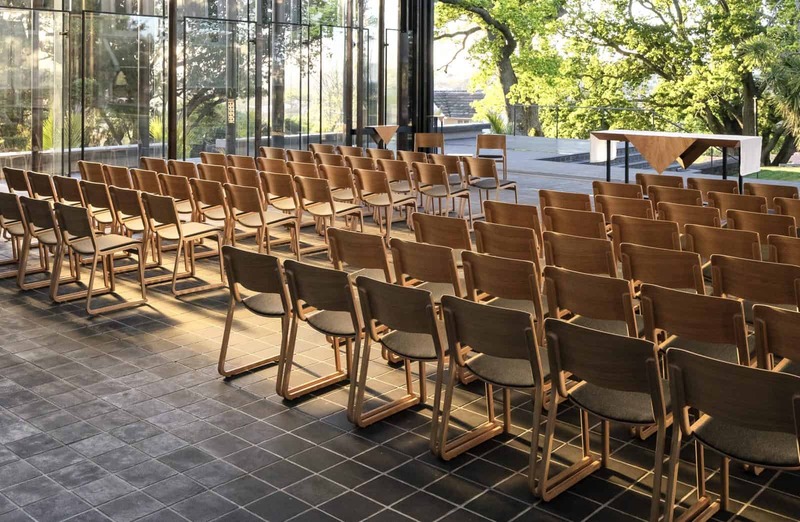 The design brief (set by the Anglican Diocese of Auckland) called for a new space that could accommodate a wide variety of community events and enable greater community access to the Cathedral’s auditorium. 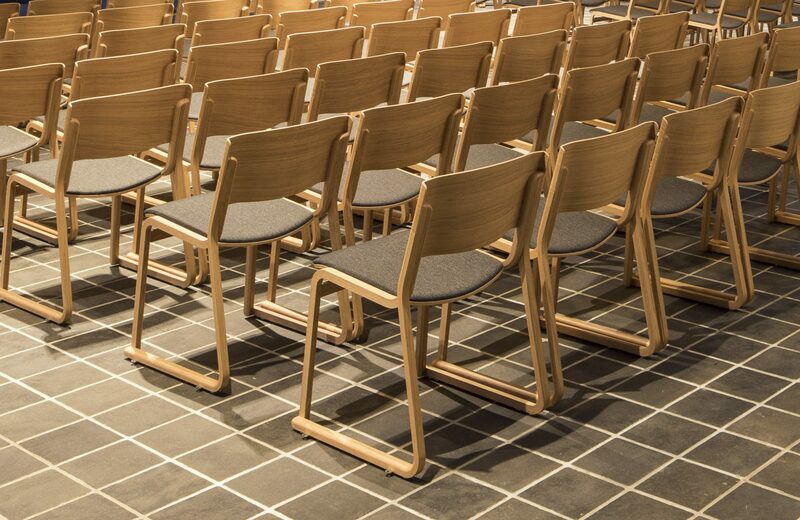 The lightweight, stacking Theo Chair not only meets the needs of the space from a practical point of view, but also works in harmony with the impressive aesthetics.